Direct-to-Database Testing. CloudTest users can now directly test the scalability of the most popular enterprise and open source SQL databases from Oracle, Microsoft SQL Server and PostgreSQL. As applications are developed, databases are often tested in isolation, while it’s being built and tested. In response to a common enterprise customer request, CloudTest can be directed to execute SQL workloads directly to the database for performance testing and insert data into a database before a test or clean up after a test. Custom Java Modules. 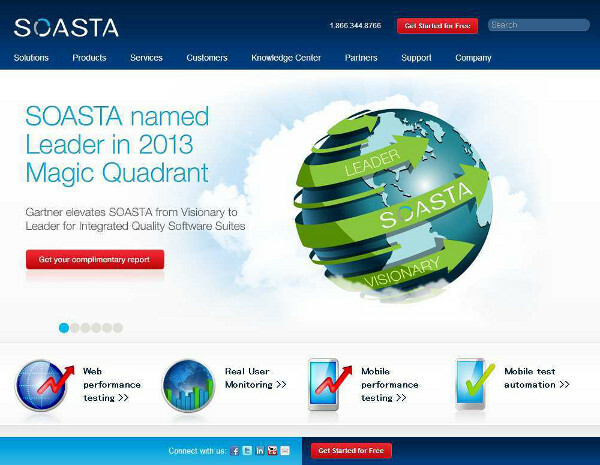 SOASTA’s established leadership in web and mobile apps is now expanded to Java developers and testers. With the new custom Java module, anything that can be done in Java can be tested at scale with CloudTest, such as testing streaming video as well as popular protocols like WebSocket and UDP. Speed Enhancements. Users can now use test creation shortcuts such as recording directly to executable test clips and easily share test assets and components. Leveraging platform enhancements to CloudTest’s in-memory analytics engine, users will experience improvements in the seamless visual reporting during tests and how quickly tests load for execution, at any scale. SOASTA’s continuous attention to speed and performance improvements enables enterprise teams to work faster and share results more effectively. Additional enhancements to in-memory load speeds results in lighting fast responses in the CloudTest dashboard.